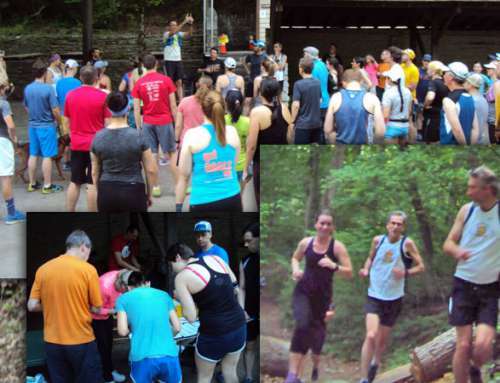 Run in these informal trail races organized by the Wissahickon Wanderers every Thursday evening in May. 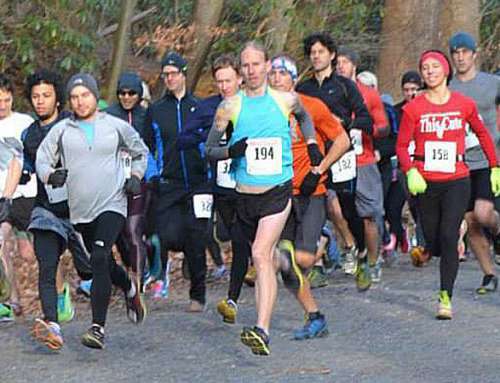 The distances range generally from three to five miles through the woods of the Wissahickon and along Forbidden Drive. Please help us promote this event. 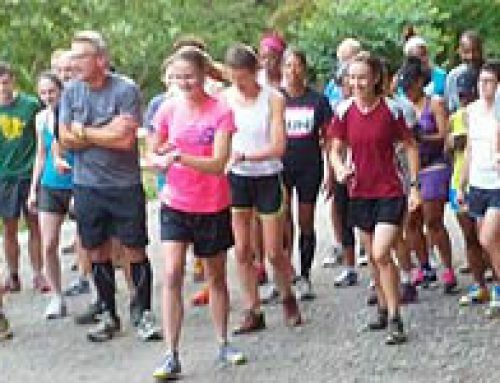 The more runners that show up, the better for everyone. Please download this PDF and then use your personal email to forward it to running clubs and friends whom you think may be interested. There is no charge and the races are open to Everybody! Designing the courses this September will be the same crack crew who laid out the runs for the May series. Similar to previous Series, we may again include a ‘prediction run’. Runners predict their time, and whoever finishes closest to predicted time gets a prize. Time: All races will begin at 6:30 sharp so that we can take advantage of the limited daylight. So show up a little early. Place: We meet at the Valley Green Inn on Forbidden Drive in the Wissahickon (directions). The Inn, by the way, welcomes runners no matter how sweaty for post race refreshment! Updates: Check the Wanderers web site for any updated information as well as photographs of the races. In case of cancellations, we will post a note on our home page as well as send an email to our list. When: Every Thursday in MAY (May 7, 14, 21, and 28) at 6:30 pm sharp! Please fill out and bring this waiver (on page 2) to ease pre-race admin. What: three to five miles of Wissahickon trails and along Forbidden Drive. Who: races are open to runners of all abilities! Please help us spread the word. Download this PDF and e-mail it to your running friends. Thank you.